in 2005 my husband and i visited St. Martin. We stayed at Baie Orientale, a beautiful beach with fine white sand and crystal water, protected by distant mountains. Two years later, I met a beautiful family with a collection of rescue pups (and rats, and hammies, and chickens! ), one of which came from the same beach area. 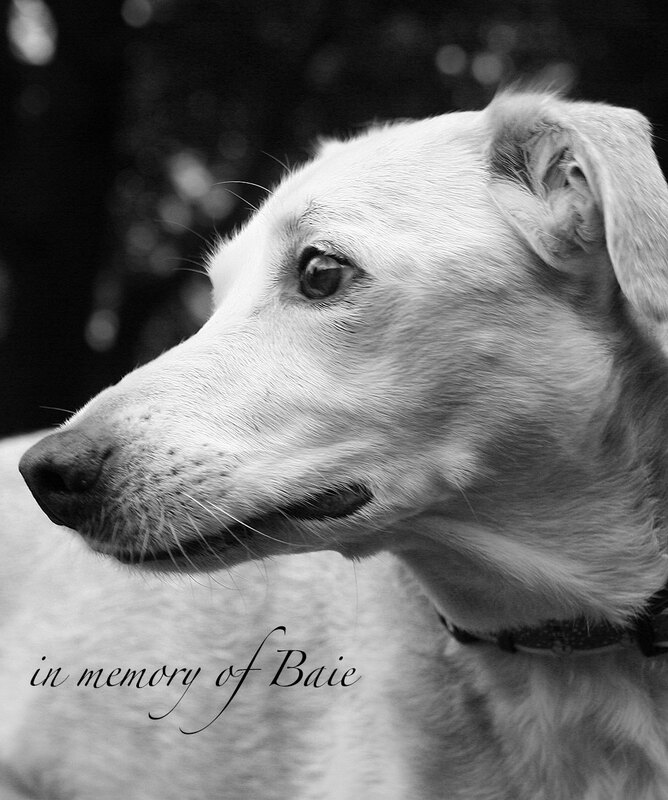 Baie was gentle and calm, with a lovely, soft coat of sandy fur that offset her beautiful, soulful eyes. To hear her story was sad: she was found wandering the beach in St. Martin, emaciated and infested with fleas. The family took her in and brought out her beautiful, calm nature. 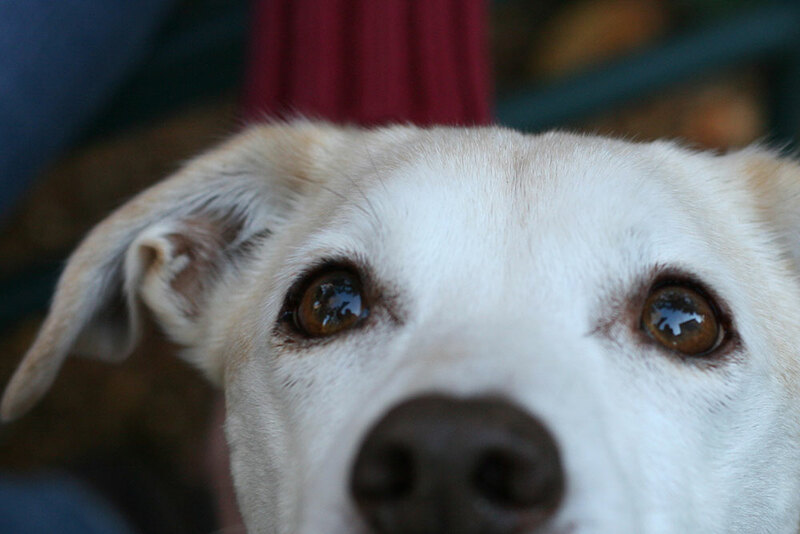 Baie was such a sweet girl, and the photo below is my best remembrance of her. Deep brown eyes, pleading for love. She certainly got a lot of love from her family and fellow pups.